I have a real frenemy relationship with my own expectations. They have their uses. They’re good for making predictions and they’re fun to gossip with. Still, when all is said and done, I consistently root for them to look stupid. I live to see them proved wrong. I love seeing my cinematic expectations get crushed. Is there any feeling better than being surprised by a film? We inevitably bring certain expectations into the theater with us. For as much as I try to clear my mind of any prejudgments and extracurricular baggage before a screening, it’s impossible to keep my overly active brain from forming some premature impressions about what it’s about to watch. Predictions about the film’s quality, thoughts about the source material, suspicions about who the movie is catering to, and feelings about the director and actors’ past work. There may be no better example of me wrongly saddling a film with expectation and prejudgment than Paul King’s 2014 film, Paddington. Prior to its release, the Internet had itself a field day mocking the films marketing, and I can’t deny that it was a lot of fun to witness at the time. The film’s posters showed the delicately drawn cartoon bear now rendered into an uncanny actual bear though what initially appeared to be hideously misjudged CGI. The sweet little ursine looked nightmarish. His fur was realistic to the point of feeling fake and his beady bear eyes peered out with lifeless, alien apathy. Memes flooded the Internet, transporting this ursine member of the Uncanny Valley into various classic horror movie posters, where his dead-eyed stare felt perfectly, hilariously at home. The marketing was a terrible joke, and beyond that many assumed the movie itself would just be no good. That it would take a gentle, whimsical figure of child literature and plug him into the latest homogenous piece of slapstick spectacle. Another crass, CGI-infested product in a cinema landscape littered with it. The knives were out for Paddington and we all had our reasons. We all ended up being very, very wrong. Paddington turned out to be a remarkably winning, charming little film. We weren’t just wrong about its general quality, but also about its very nature. What was expected to be crass and garish was genuinely heartfelt, creative and fun. And the little bear mocked for his creepy lifelessness has now turned out to be one of the most sweetly vivacious, heartwarming characters in the whole of 21st century cinema. Paul King’s first Paddington film far exceeded the expectations set for it. And, for as much as I was now prepared for Paddington 2 to actually be good, it utterly obliterated whatever expectations one might attach to a sequel to a surprisingly good family film starring a CGI bear. Paddington is a fine, fine film. Paddington 2 is an instant classic. A new masterwork in the family film genre, fit to be uttered in the same breath as Babe. The story structure of Paddington 2 is a thing of simple elegance. The first film was about how Paddington (Ben Whishaw, making unflappable kindness subtle and interesting), a young Peruvian bear being raised by his adoptive aunt and uncle, leaves the Andes to fulfill his Aunt Lucy’s longtime dream of seeing London. Paddington was about a kind little bear setting off for a new place and finding a new home and family with the Browns. The Browns. The Brown household consists of gruffly accommodating accountant Mr. Brown (Hugh Bonneville), kindhearted illustrator Mrs. Brown (Sally Hawkins, channeling the same effortless tenderness that made her so terrific in The Shape of Water), their teenage children Jonathan and Judy, and their tartly funny no-nonsense housekeeper Mrs. Bird (the great Julie Walters). Paddington was about the polite, diminutive bear winning his way into the Browns’ hearts, finding a new home, brightening the world around him through his soft-spoken positivity, and tangling with a colorful villain. 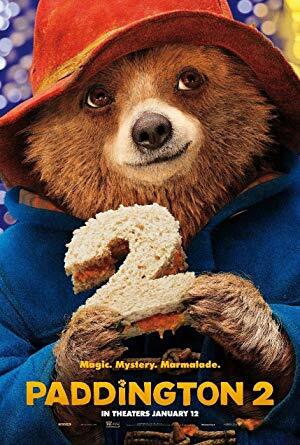 Paddington 2 is more of the same in the very best way. What these films have going for them is vibrant color, confident charm, and gently side-splitting humor. Part of what makes Paddington 2 such an improvement over its lovely predecessor is that there is no need for table-setting. London is now very much Paddington’s home and Paul King has more time to spend just enriching his world and its inhabitants, through wit, emotion, and splendidly choreographed spectacle. Another way Paddington 2 improves on Paddington is through a tremendously fun and interesting villain. The first film’s villain was a depraved and chilly taxidermist with a vendetta, played in a perfectly good performance by Nicole Kidman. In Paddington 2, antagonist duties go to Hugh Grant, having the time of his life and giving quite possibly the performance of his career. Grant plays Phoenix Buchanan, a once-celebrated London stage actor now mostly forgotten and relegated to appearing in wonderfully humiliating dog food commercials. Paddington runs afoul of Phoenix when he finds a beautifully ornate and very expensive pop-up travel book of London that he wants to buy for Aunt Lucy’s birthday. Aunt Lucy’s dream was to visit London and Paddington sees the book as a small way of helping her experience that dream. The rub is that Phoenix Buchanan knows the book is also secretly a treasure map, and finding its riches is the only way he can finance his long-delayed one man comeback show. Paddington gets a series of jobs to try to earn money for the book, while the vain, selfish Phoenix Buchanan connives to steal it from the store. Eventually, mishap and misunderstanding land Paddington in prison for burglary, while Phoenix remains free to carry out his treasure hunt. 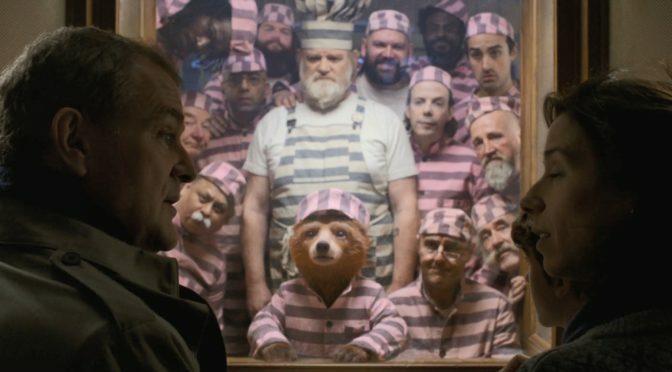 As he does everywhere he goes, Paddington makes unlikely friends in prison, including a curmudgeonly bruiser of a chef named Knuckles McGinty (Brendan Gleeson, brilliantly funny). While the Browns try to clear Paddington’s good name, Paddington transforms a maximum security prison into a charming, pastel-tinted luxury spa all through the power of cheerfulness and marmalade sandwiches. And, on paper, maybe that all sounds like too much sugary sentiment for any one film to have on its hands. Perhaps it all sounds like having nothing but marmalade (or mah-mah-lade, as Knuckles hilariously pronounces it) for a meal. There is precious little irony in Paddington 2, which is one way that a film can temper its sentimentality. Paddington 2 is absolutely dripping in good-natured, kindly emotion. And somehow it all works. It works by leaning into its unabashedly earnest nature. It is probably ten times more sentimental than I can convey in words, and it all completely and totally works. It doesn’t just function, it soars every level of filmmaking. It succeeds in the same way Singin’ In the Rain succeeds. As it turns out, you can make a great film that is utterly saturated in sweetness and joyful emotion if you are smart and fearless about how you approach it. Our intrepid hero is unafraid of being judged for his kindness, his thoughtfulness or his sincerity and the movie follows his lead. Like Singin’ In the Rain, Paddington 2 is an open-hearted, joyous feast of color, sound, and comedic setpieces. Paddington 2 is unfiltered joy in cinematic form. It radiates generosity and good humor from its every frame. It journeys into a dank prison because it knows that whatever sorrow is in there doesn’t stand a chance against it. The gloomiest raincloud is powerless in the face of its benevolence. Almost every character is charming and nice. Most of the movie’s sourpusses quickly succumb to Paddington 2’s onslaught of kindness and good will. And the film’s one outright villain is hysterically funny and a consistent hoot to watch. Paddington 2 is just too confident and purposeful in its joyfulness to ever feel saccharine. It rallies love, warmth, sweetness and color and marches them into battle against the forces of darkness. In our fractious times, rife with discord, bigotry and trolling, kindness starts to look more and more like a radical act. One of 2018’s big success stories was Morgan Neville’s Fred Rogers documentary, Wont You Be My Neighbor?. I like that movie quite a lot, but I think Paddington 2 is fighting for the same cause with quite a bit more flair. Paddington 2 has a sharp, witty screenplay full of insightful lines, but the most instantly iconic may be the mantra Paddington picked up from Aunt Lucy and that he passes on to the stubbornly petulant Knuckles McGinty. “If we are kind and polite, the world will be right.” In its sweet, effervescent way, Paddington 2 is out to fight back against the notion of kindness as weakness. It is about love and selflessness as sources of strength and courage. There may be no better example of virtue as something powerful than when Knuckles insults Aunt Lucy and Paddington give him one of his aunt’s patented hard stares. It is a fixed, unwavering look of disapproval. It is not outwardly aggressive, but it is unflinching in its moral censure. When someone does wrong by you, you do not need to insult them or harm them back, but you let them know they have acted out of turn and you do not back down. As Knuckles blanches in discomfort, Paddington explains, “My Aunt Lucy taught me to do them when people have forgotten their manners.” This is a scene of genuine power. I found myself tearing up a bit. And then I shook my head and laughed, remembering that time five years ago when I mocked that Paddington poster for not appearing emotionally expressive enough. Just look at him now. 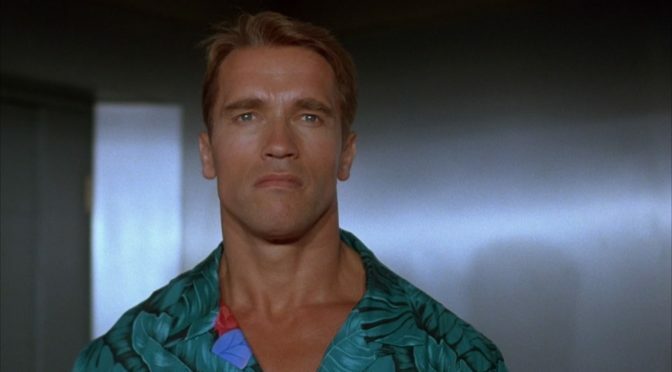 There may not be a single facial expression in all of 2018 film with more simple, expressive power than that hard stare. Paddington 2 announce that we should feel resilient in our decency and never look back. When we find rudeness and spitefulness out in the world, we don’t have to respond with more negativity. But we should not hesitate to make hate squirm. In my review for Lady Bird, my favorite film from 2017, I started a new annual tradition. I like to call it the Damp Face Award. The honor goes to whatever film leaves me with teary eyes for the greatest percentage of its runtime. A film can win the Award through sadness, humor or naked emotion, but any film wins is probably going to have some combination of all three. The Damp Face Award favors laughter and pathos, two qualities that I value highly in my films. This year saw no shortage of emotionally strong work, but Paddington 2 wins the 2018 Damp Face Award handily. It is a film of bottomless heart and wit. I cannot overemphasize how very, very funny it is both verbally and visually. It is also an overwhelmingly poignant film. Paul King’s family opus is tremendously fun and inventive, from the prison shenanigans to Phoenix Buchanan’s amazing, endless stream of costume changes when committing his crimes. But the film’s stroke of genius for me is that its central story arc is so simple and generous. Paddington loves his Aunt Lucy dearly, appreciates here years of support and sacrifice (the film smartly opens with a flashback of Aunt Lucy rescuing the orphan cub Paddington from a Peruvian river), and wants to give some portion of that kindness back to her. It is the reason that Paddington 2 can be the giddy, colorful, digressive whirligig that it is and still feel so grounded and cohesive. Paddington 2 is about the power of simple, selfless acts and it is about being grateful for the people (and bears) who love us. Without spoiling anything, the film concludes with a small act of kindness so genuinely heartfelt and overwhelmingly meaningful that any list of the decade’s best endings would be incomplete without it. It is such a refreshingly simple; a gesture and four words. Realizing that this little moment was what this entire film had been building toward completed walloped me. It felt so perfectly scaled to the compassionate little family film around it, but I was unprepared for its power. Even in very good family films, one does not expect moments this intimate, emotional, and well-observed. I’ve been telling anyone who asks and a few who don’t that my favorite quality in 2018 cinema is how hungry the filmmakers seemed. The great works of the past year left me with a lot to think about and unpack, and that is what reviews are for. But they also felt so immediately satisfying in the moment I was watching them. There’s a feeling almost beyond words when a film is clicking into lace while you’re watching it. I chalk it up to conviction and exuberance, and there were few films in this or any other year with as much infectious exuberance as Paddington 2. It’s an infectiously exuberant film about the transformative, transportive power of infection exuberance. And that’s not just something it’s selling to its audience. Paddington 2 is also its own most loyal customer. It is a symphony of goodness that builds and builds upon itself. It is a rare and beautiful thing to find a family film with this degree of zest and directorial prowess. The same goes for sequels. And that rare quality becomes even more astounding when we factor in that this is a sequel to a family film based on a very British children’s book series about a talking, marmalade-loving Peruvian bear exploring jolly old England. I have no conceivable idea of what the expectation is or should be for a film like that. Maybe there isn’t one. Maybe that’s as it should be. It’s always fun to look at my yearly Top 20 and identify patterns and present-day applications; themes that stand out across multiple films and messages that speak to the world we live in. That said, while there are a number of recurring ideas across 2018 cinema (cycles of abuse, familial histories, the ever-presence of classism, and the continuing struggle over racial inequality), what really defines 2018 as a year in film for me is that it just tasted so incredibly good. Regardless of genre, what I found in my film-going year was a wonderful abundance of flavor. The defining feature of this year’s cinematic menu, from the most heartwarming comedy to the most austerely despairing indie drama, was a sense of luscious, swaggering vitality. It was a year with gumption, brio, and full-throated spirit. In that context, having a film as marvelously sumptuous as A Star Is Born begin my year-end list feels fitting. Bradley Cooper’s stirring directorial debut is a fine banner carrier for a year that had no shortage of swagger. A year full of relationships writ large and with infectious flair. Of old ideas carried out with such infectious panache, they made you want to forever ban the use of such a presumptuous and dismissive term as “old ideas”. 2018 saw such disparate and well-established breeds as the Western, the space exploration period piece, the teen coming-of-age film, and the workplace comedy approached with originality, yes, but more than anything, with splendid faith in the ability of rich characters, poignant emotion, and keen ideas to spark life into the most familiar genres. Such a wealth of the year’s films trod old roads while allowing us to feel like we have never noticed them this way before. It is altogether fitting that Bradley Cooper’s arresting and heartfelt riff on an oft-told story should start off this set of reviews, not only because it is such a sterling example of how to make an old form feel fresh, but also because revitalizing old forms is practically the film’s mission statement. 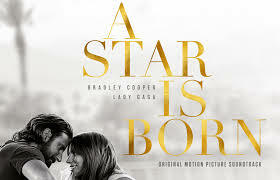 Late in A Star Is Born, one character opines to another that all of music is really only some combination of the same twelve notes played out again and again. It is not all that often that music, film, or any other art form sees some radical new development. Most artists will inevitably find themselves using tried and true methods to tell their stories. What matters then is not so much the old song itself as the small, emotional nuances of the singer. The modulations and phrasing and where the singer allows her voice to crack and strain with vulnerabilities. Originality and innovation are fine things and we should always honor those who seek to push art forward in bold new ways. But there is also something to be said for those who can find inspiration within the lines of what already exists. When an artist performs an old standard with true conviction, there is no such thing as the same old song. The notion of finding new life in an old-fashioned story is an important one for A Star Is Born, not only because it belongs to a long-standing tradition of stories about fame and the rise and fall of artistic fortunes, but because it is also no less than the fourth iteration of this particular cinematic property. The kinds of music the two romantic leads play has changed between versions of A Star Is Born. And in the earliest version, from 1937, the two leads were not musicians at all but rather actors. But the basic skeleton has always been that an older artist, famous but well past the zenith of his career, finds and helps to establish an undiscovered female talent. The films are about the relationship between the two leads, the joys and trials of fame, and balancing success with artistic integrity. More than anything, the hook is always that we are watching the ascension of a new star while a former star falls, beautifully and tragically, out of the sky. We first meet our old star, alt-country rocker Jackson Maine (Bradley Cooper, in a splendid mixture of histrionic swagger and subtle nuance that may as well be the film in miniature), at a concert where is he is already years into tumbling from his peak. He plays “Black Eyes’, the first of A Star Is Born’s numerous strong songs, and he sounds very good. Still, he is plainly drunk and staggering his way through the motions. The number cuts off midway through to a flurry of flashbulbs, as Jackson slips into the protection of his limousine and bottle of scotch. Slurring his words, he asks his driver to find him a bar somewhere in the nameless city he has just played to. He ends up in a cozy, dimly lit drag bar on the night of its weekly cabaret show. Here we meet our second star, Ally (Lady Gaga, in a powerful, confident, and subtle performance), a young, recently divorced Italian-American woman living at home with her working-class father (Andrew Dice Clay, lending lovely humor and shading to a small role) and putting in shifts at a thankless catering job to pay their bills. We gather that this cabaret night is probably the one release valve in a never-ending grind of frustrations and narrowly missed opportunities. Ally is a tremendously gifted singer and performer, as she demonstrates to the audience and to Jackson Maine when she strides across the bar to give a fiery, deliciously vampy rendition of “La Vie En Rose”. Jackson is instantly blown away and he asks her friend, Ramon (Anthony Ramos, who played one of Alexander Hamilton’s friends in Hamilton), to take him backstage for an introduction. Their chemistry and shared love of music is immediately apparent, and so the meeting quickly turns into an impromptu date that climaxes with a heartfelt, breathlessly intimate conversation at 2:00 AM in an empty supermarket parking lot. Here Jackson shares the details of his dysfunctional, blue-collar upbringing and Ally reveals the first glimpses of her stellar songwriting talent. Within what feels like twenty-four hours, Jackson has invited Ally to meet him on tour in Arizona, where he invites her onstage to sing a full arrangement of the song she showed him on their first date. That song is a blazing chart-topper called “Shallow”, which has now gone from being a massive hit in a raved film to being a massive hit on the real world Billboard charts. The moment where Ally must summon the courage to take the stage is one of the most breathtakingly, breath-holdingly rapturous in any film this year. Lovers and detractors of A Star Is Born cite this moment as the film’s blissful apex, and it should be. In a film about two careers and lives, one soaring toward its peak and one plummeting to its inevitable demise, it only makes sense that the brightest moment would be that brief span of time when their arcs cross with one another. Where the film goes from there is increasingly less ecstatic and joyful as Jackson grapples with his addictions and professional insecurities, and as Ally faces the compromises that are part and parcel of mainstream success. Some see that dip in euphoria as a detriment to the film and I will concede that A Star Is Born is probably never quite as exquisite as a sheer piece of filmmaking in its back half. On the other hand, that seems entirely the point. This old story is very much about a kind of artistic hangover for both of its protagonists. The moment when the artist either loses their relevance never to get it back or when they catapult to such wild heights of success that the act of creating and performing can no longer be as joyful or sweetly uncomplicated as it once was. If “Shallow” feels like an Eden that the rest of the film can never quite return to, I would argue that is very much by Bradley Cooper’s design. A Star Is Born is a lot of giddy, heart-swelling fun in all of its spectacle and romance. 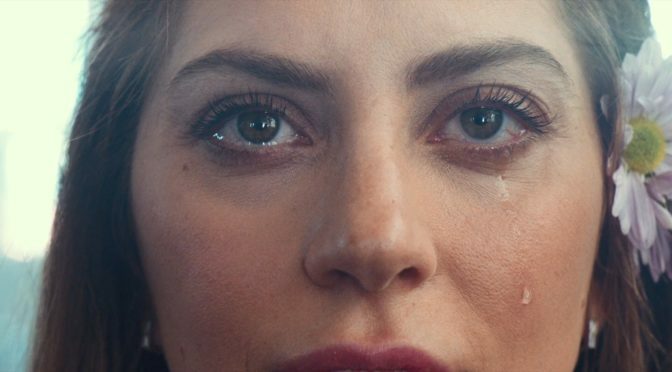 But it is also finally a tragic melodrama, and anyone taken aback or disappointed by its descent into dysfunction, jadedness and sorrow has forgotten the very specific old torch ballad that Gaga and Cooper are crooning. Bradley Cooper has radically revitalized this property, but the song is still the song. And the fact that this is fundamentally the same A Star Is Born is really the great achievement of the film. Or rather it’s the notion that we would forget what movie this is for even a minute. The film hits its potentially clichéd story beats with such passion and thunderous force in its first half that we scarcely notice how familiar those beats actually are. There are countless rise and fall biopics. There are countless romances like that of Ally and Jackson Maine. But all that stops mattering in the time we spend with them because they feel so specific and real. It is a wondrous cinematic magic trick to make an audience momentarily forget all the strings of plot and archetype dangling right in front of their faces the whole time. We suffer through a great many flat, uninspired romance films year after year. Audiences clearly have a hunger to see people in love, but so few of the talent Hollywood entrusts to capture love on screen seem to truly have their hearts in it most of the time. There seems to be a kind of disrespectful presumption that the people who want to see love stories are not picky; that, when push comes to shove, quality is secondary and people will get their romantic narrative fix through any means available to them. And, at the risk of sounding trite, I think the grand human emotion that is love deserves a whole lot better than what it gets throughout most of the film year. In its swelling, old-fashioned, star-studded way, A Star Is Born is one of the best films of recent years to capture the scope of what it feels like to fall head over heels for a person. Really, the reason that “Shallow” is such a breathtaking display of emotional fireworks isn’t just that it captures what it would feel like to finally have your moment in the spotlight. It is more than that. It is about what it would feel like to rocket to fame overnight and find the love your life in the same exact instant. It is frankly almost absurd in its delirious wish fulfillment. This is not a subtle kind of love. A Star Is Born’s romantic poetry is not scribbled delicately upon napkins and diary pages. It is written in plumes of pink smoke across the sky and emblazoned in black block letters on the marquees of sold out stadiums. And yet, so help me, there is real nuance here amidst all that jaw-dropping scope. A Star Is Born is a film that feels enormous, yet still has a canny way of filigreeing its large-scale imagery with tiny nuances. This is nothing like real-world romance. It really is the quintessence of a love that can happen only in the movies. But its epicness is also unfailingly intimate in an almost paradoxical way. Somehow, in all its larger-than-life spectacle, its romance feels completely right. And, really, it’s not just the love scenes. Everything about A Star Is Born balances an almost impossible grandiosity with smaller flourishes. Its lovelorn music world feels like a flashy Technicolor marvel, but one that you can actually imagine real human beings existing in. Its concert stages and music halls feel like Mount Olympuses and also like fond, familiar spaces where performers line up celebratory shots of Jack Daniels just offstage for a little pre-encore courage, and where megastars still huddle together in little pep circles like nervous sixteen year olds about to perform in a high school play. The allure of A Star Is Born isn’t just in how dazzling its world is. It is also about what it would feel like to suddenly call this big, crazy show-biz milieu your own. I cannot recall the last time I saw such a fascinating mixture of spectacle and intimacy. When Jackson proposes to Ally with a ring fashioned from a bass guitar string, it feels totally appropriate for two musicians in love. But that image of the knotted metal chord encircling Ally’s finger also feels huge, like something one might see on a rock ‘n’ roll album cover. I had to think for a moment just to make sure I hadn’t seen it in some Guns ‘n’ Roses music video. That, and every other thing about A Star Is Born, would feel ridiculously bombastic if its emotions were not so sweetly sincere; if its performances were not so beautifully raw, real, and committed. That goes not only for Bradley Cooper and Lady Gaga, who both do spectacularly charismatic work, but for a wealth of smaller roles and single-scene parts. From Sam Elliott conveying years of love and fraught history as Jackson’s beleaguered older brother and road manager, to Dice Clay’s proud, lovably embarrassing Italian patriarch, to Anthony Ramos as Ally’s protective and playful companion on the road to fame. The brief appearance of Jackson Maine’s cheerful and capable tour assistant Gail made me imagine an equally fun and stirring film about the backstage life of an assistant to an aging alcoholic rockstar. I could watch a series about the sardonic, loving family of drag show performers at the bar where Ally and Jackson first meet. I think what Bradley Cooper demonstrates here is an ability to make a lavish Hollywood entertainment with all the layered observational quality of a fine indie drama. It is tremendously exciting to think of the trend a film like this could incite. Gloriously big, swooning exravaganzas with sharp scripts and rich, method-style performances. The one time Daniel Day Lewis appeared in a musical (Rob Marshall’s Nine) the results were mixed at best, but maybe Bradley Cooper is the man to make that seemingly incongruous combination finally sing. My single favorite moment in A Star Is Born is not just “Shallow” but a specific moment within the “Shallow” performance. After Ally finishes her first verse, to ecstatic cheers, she stands agape and overcome and the song begins to build to its bridge of gorgeous, frenzied caterwauling. Ally has been standing at one of the backup microphones downstage. We have just seen her muster up all her courage and will power to even walk this far. Suddenly, Jackson beckons her forward and she makes the fateful walk to the lead microphone. We follow her in a tight tracking shot as she crosses that important bit of space that separates anonymity from stardom. From backup vocalist to center stage diva all in a matter of seconds and steps. There is just something so very satisfying about the blocking of this scene. It made me think about the real physical space that a rising star like Ally would occupy. For as much as A Star Is Born might be a giddy fantasia of the pop music world, Cooper puts exquisite care into thinking about the concrete details of this world. A Star Is Born may be unadulterated romantic wish fulfillment, but, like the very best dreams, it feels palpably real while you’re in it. And, if nothing else, the genuine thoughtfulness and care of how these stage scenes are choreographed gives A Star Is Born one of its very best qualities: sheer, exuberant conviction. Even scenes that don’t feel quite like they might in real life, like Ally’s performance on Saturday Night Live, have an impressionistic kind of emotional authenticity. Maybe this is not what the real SNL studio space looks like, but the details sure feel true. Nervously holding your breath before your first official televised appearance. Standing next to Alec Baldwin in the dark in total silence until the producer gives you both the hand signal to head to your marks. When Jackson Maine is asked to play backup guitar for a Roy Orbison tribute at the Grammys, the Roy Orbison banner hanging behind the band looks monumentally large. I thought about all the crafts that go into making something pop visually on television; how colorful and gigantic everything must to be to register for the viewer, and how disorienting and surreal it must be to be surrounded by all of that. The wild, colorful bric-a-brac of show business. And, of course, as A Star Is Born increasingly turns into a story of addiction and self-destructive excess, the feeling of being dwarfed and swallowed up by the glitzy machinery of fame starts to take on the double function of letting us into Jackson Maine’s headspace. It places us in Ally’s headspace too. Stardom must be an intoxicating place to fine oneself, and perhaps even more to lose oneself. In its detailed imagining of the spaces of the music world, A Star Is Born once again feels true to life while also being ten times larger than life. A Star Is Born is a marvelous work of acting, music, and directorial craft, but what finally makes it such a superb representation of what 2018 did right is that it reminds us that we can go back to wells that are decades or even centuries-old and still find life there. This film is no less than the fourth cover of this specific old story, and this general kind of story has been covered ever so many times more than that. The film is not the tiniest bit ashamed of that fact. It is giddy with delight to add its voice to a long-standing narrative tradition. The myriad hoary tropes set up for it to crash into and trip over turn out not to be stumbling blocks. Instead, it uses them as obstacles to nimbly dash around, leap from and parkour over. Subverting cliché while embracing it is not just part of the show. It is the feature. It is what A Star Is Born wants to offer its audience. I left this soaringly tragic melodrama with an elated tingle in my temples. Bradley Cooper had taken an old song, struck up the band, and roared at the top of his lungs, “Once more with feeling!” A Star Is Born makes formula feel moving and thrilling. It turns cliché into an equestrian course. Having a film this feverish, romantic, compelling, and downright assured in every facet eke its way into my year-end list is a firm declaration that 2018 was the finest film year in quite some time. And if A Star Is Born is not the year’s most altogether perfect film, it makes up for that handily by sounding a galvanizing rallying cry, to all the first-timers, developing talents, and wise veterans we were privileged to see make movies this year. Everybody, listen up. The rookie’s got something to say. Whatever we choose to say should be said with passion, hunger and raw emotion. This old medium of ours is still a baby with its best, most beautiful works ahead of it. And everything old under the Sun is new again.